Breaking tradition is the Canon EOS Rebel T6s / 760D. Canon has introduced a long line of flagship Rebel models, but ... never did they introduce two at the same time. Since the EOS Rebel T6s contains a superset of the features found in the other same-time introduced camera, the EOS Rebel T6i, I guess that makes the T6s technically THE flagship model at this time. The T6s is identical in most ways to the T6i and since you will not likely want to read the same review twice, I am going to refer you to the EOS Rebel T6i review to learn most of what this camera is about. This review will focus on the differences and ... some of those are very nice and one is not so much so. Let's flip through these points one at a time. No Rebel model has an LCD display on top. Obvious is that statement can no longer be used as the T6s becomes the first such model. Obviously, only relevant information is shown at any time. Is that information available elsewhere including the rear LCD? Yes. Is it nice to have on the top LCD? Yes. The Display button on the top of this camera has been replaced by the light button for nighttime viewing of this LCD. What is better than cross keys for menu and setting navigation? 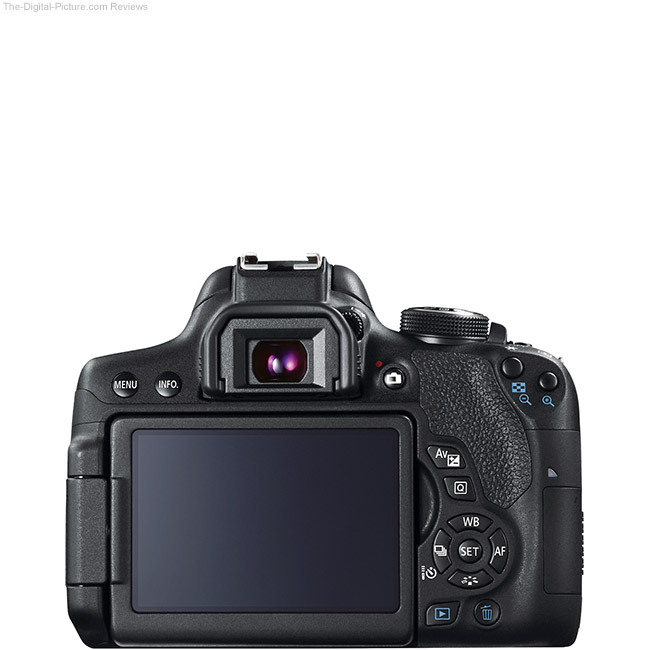 Yes, a touch screen is one answer and both the T6i and T6s have this. The answer I'm looking for is the rear control dial. 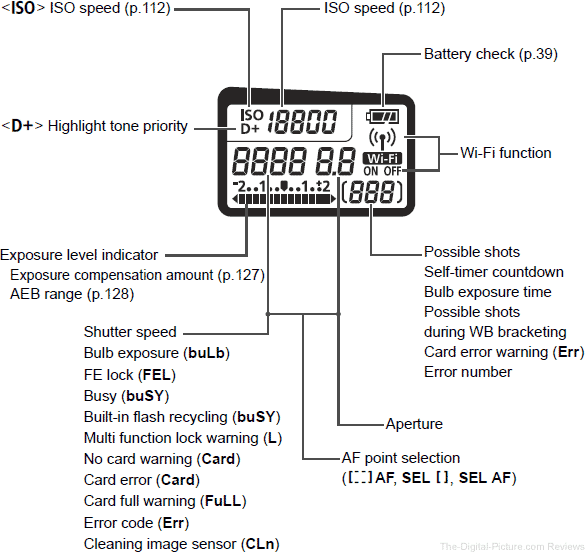 Canon's high end DSLR models all feature a rear control dial that makes the camera faster to use for some functions. 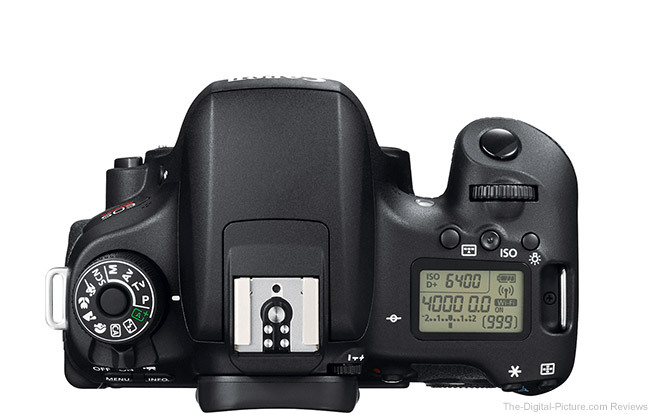 The T6s rear control dial is functionally similar to the EOS M and EOS 70D variants, though sized between them. The result is a design that I like better than either of the other two iterations. Though the rear control dial on one of the two T6s cameras I had was slightly easier to turn than the other, I find this design to be really nice and an asset to the T6s model. The button layout on the back of the camera has been changed to be more in line with the 70D and higher models lines. If there is a rear control dial, the lock switch seems to be requisite. I haven't made my inability to keep a camera level while looking through the viewfinder a secret and electronic levels that are always visible in the viewfinder are easily the best solution I've found. In the Rebel lineup, as of review time, only the T6s has the always-visible horizon level viewfinder indicator. This level indication is accurate within +/-1° and works for both horizontal and vertical orientations. For many, including myself, this simple little icon makes enough difference in my results (including reduced post processing time) to justify the decision for the T6s over the T6i. Yes, Canon has Movie Servo mode available in previous Rebel models, but ... the ability to focus-track a subject in motion was not available when shooting stills. This feature will have a wide range of values to various photographers. This feature will not likely find use by me, but those who always shoot using the LCD will love it. Put the Rebel T6s up to your eye and a proximity sensor located just below the hot shoe turns off the rear LCD. This reduced the need for the Display button, displaced by the light button. When holding a camera with your right hand, which hand is most convenient to change the mode dial setting with? You probably said left and in that case, doesn't it make sense to have the mode dial on the left side of the camera? I should point out that the left-positioned mode dial displaces the WIFI light, which may be viewed as a downside for some. This is a very nice T6s upgrade. Tackle high dynamic situations with the T6s' HDR Movie capabilities. This feature is supported only at 1280x720 (720p). This makes sense, doesn't it? If you have an ultra-high resolution sensor and are only shooting video at 1920 x 1080 resolution, why couldn't you change which pixels are being used for that recording? I'm sure that you expected this. The additional features are not free. The only T6s downside I can find is the higher price tag. 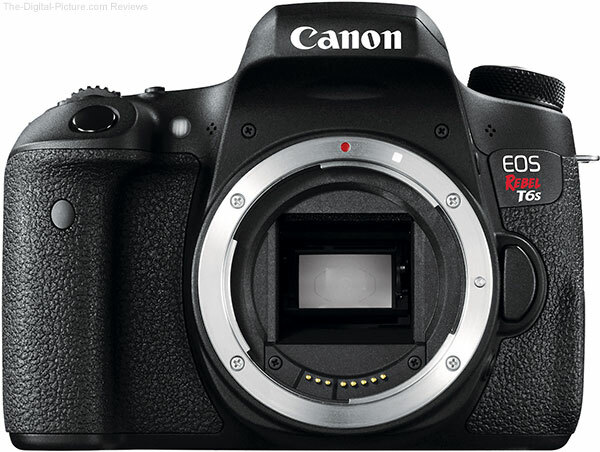 At review time, the T6s is street-priced $100.00 higher than the Rebel T6i alternative. This of course is the not-so-nice feature difference. Another price hit for those wanting a kit lens with their Rebel is that the 18-55mm IS STM Lens option is not available with the T6s. The available with-lens kit includes the 18-135mm IS STM. This is a better lens, but again, it costs more. 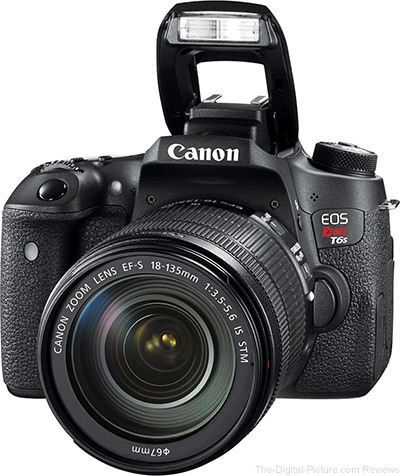 Should I get the Canon EOS Rebel T6s or T6i? That is the logical question to ask. Both are great cameras. The T6s is greater with a greater cost. Read through the differences on this page to determine their value from your perspective. To me, the T6s feature improvements make a lot of sense and are worth the modest additional cost. If your budget is tight, the T6i might be the better choice for you.